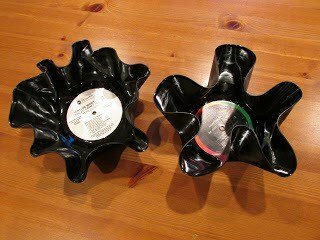 Vinyl record bowls are super simple to make, and you can mold them anyway you want as many times as you wish! 2. 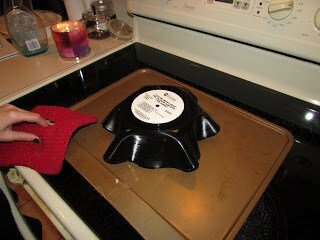 Place your record on top of your oven safe bowl (if you want a deep bowl place it on top of the oven-safe bowl so that it melts inside it, for a wide bowl place the record on top of the bottom of the oven-safe bowl). Use a cooking tray for easier insertion and removal of your bowl. 3. Place your bowl in the oven and wait for 5-10 minutes. 4. THIS IS IMPORTANT: Please remember to keep an eye on your record! 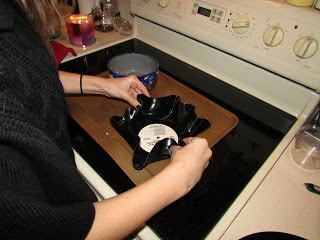 Vinyl records ARE flammable Do not leave your record unattended in the oven. 5. 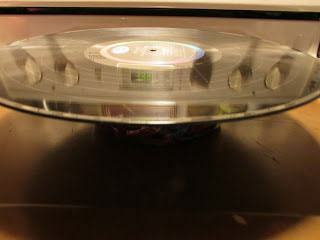 When you remove your record from the oven you will be able to mold it for a short period of time. Be quick though because they do harden very quickly! 6. Use your Vinyl Record Bowl as a basket and fill it with cute goodies that your special someone will love! Or, just enjoy it for yourself! 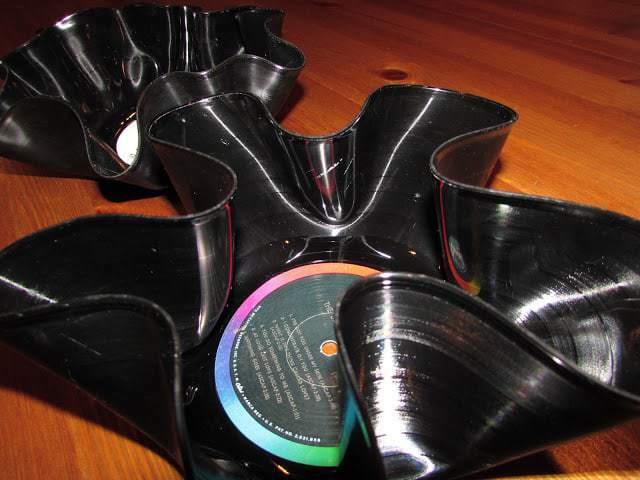 If you do not like the shape of your bowl you can re-heat the record and re-shape it! 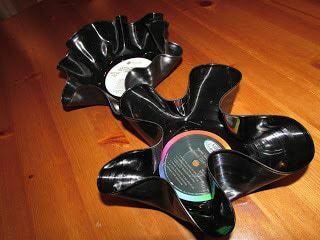 Use your Vinyl Record Bowl as a holder for office supplies or crafting tools! Again, please keep an eye on your record while it is in the oven! If you keep it in the oven too long you risk setting your oven on fire! If you have any questions, feel free to let me know! Happy DIYing! I want to give a special thanks to my other half for taking pictures of the process for me and my good friend from Australia, Nick for the creative idea! Haha. Hope that's a good wow! Thanks for checking out my blog! Haha. Thanks! it's so easy! I'd love to check out your blog! thank you for stopping by mine! I listen to so many of vinyls too! I only used ones that are no longer working. I couldn't bare to use my working ones! Sam I am obsessed with these…I'm totally going to try and make one for a fun gift for Mackenzie. Hopefully I don't blow up my kitchen in the process. Thank you so much! I hope you'll keep following! 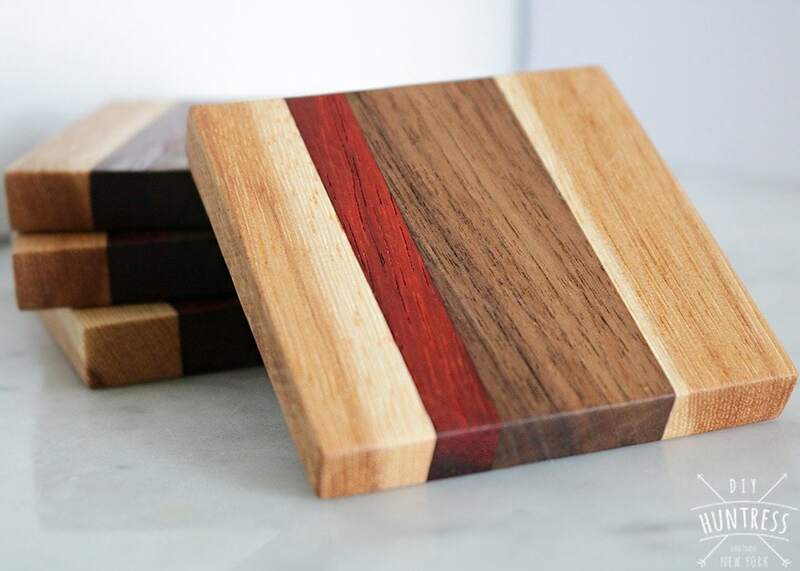 Posted a new project today! Thanks love! 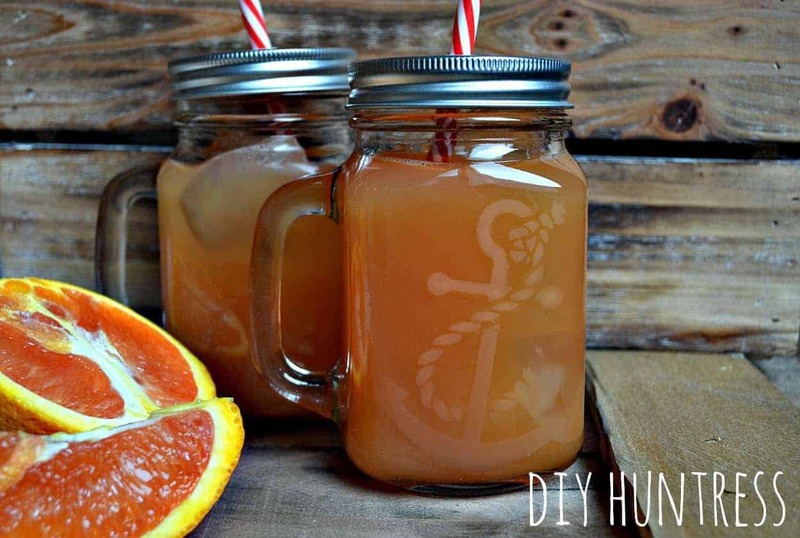 Just posted a new project! Hope you like it! 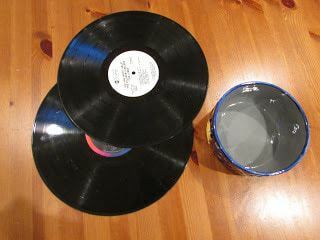 Have made these Vinyl Record Bowls in the Australian outdoors, on a 43+ C day, directly in the sun. Can take two hours of midday sun. Pretty cool! And I like that they all end up with a unique shape. Thanks! 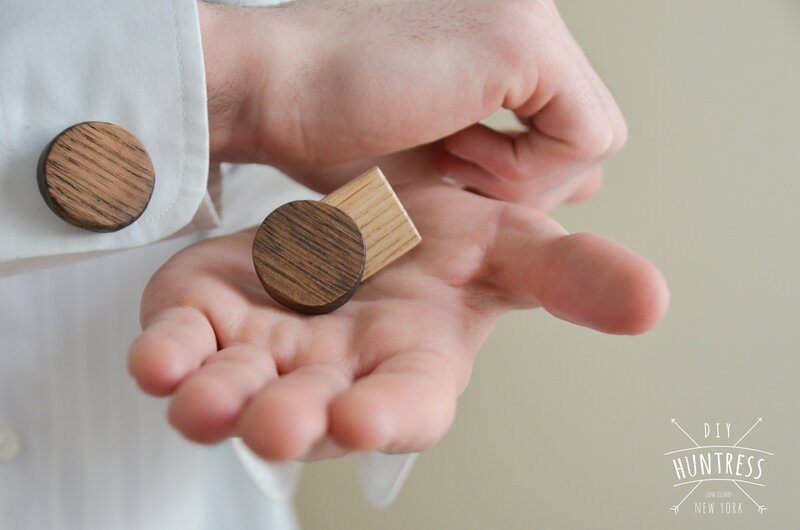 Yeah – pretty cool!